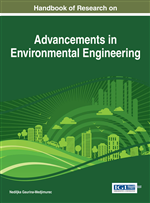 The chapter describes drilling waste control by integrating Environmental Control Technology (ECT) with the drilling process. In contrast to remediating “end-of-the-pipe” methods, drilling ECT prevents environmental impact by modifying the process of drilling waste generation. The waste production process in drilling operations with emphasis given to mechanisms of waste volume buildup and the waste toxicity sources is analyzed. In addition, the source-reduction and source-separation techniques built-in the drilling process such as low-toxicity substitution of drilling mud components and high efficiency separators and closed-loop solids control mud system are addressed. The technique of drilling mud dewatering is discussed in detail by describing its principles, installations, and field application case histories. Quantitative analysis of dewatering efficiency using mud-testing results is also presented. The chapter also presents a method for assessing economic and technical feasibility of a dewatering service contracted for the well site. Before 1980’s there had been no drilling waste control or management practices. The excess cuttings and fluid were typically discharged overboard in offshore operations and spread over or buried on the lease sites in land operations. As the waste disposal was little regulated, discharge and land spreading were low-cost solutions to stay in compliance. Moreover, reduction of the waste volume was not only irrelevant to operators and service companies but it was argued that the reduction would be detrimental since the volume of waste was the primary method of compensation. In the U.S., with increasing public concern of pollution, in the 1980’s and early 1990, the impact of drilling operations became a subject of interest to the industry and regulators. The early regulations set limits on oil content, chloride content, or the location of the proposed disposal site in reference to the water table and local environment. Types of drilling fluids came under scrutiny and the toxicity of fluids and cuttings was evaluated and regulated. The new regulations inevitably affected well drilling cost as fluid selection and cuttings treatment and disposal related waste volume to cost. Concepts of environmentally-controlled drilling (Wojtanowicz, 1993A) and waste management (Veil, 2002) were formulated, thus indicating direct correlation between industry concern and the rising cost of compliance and increasing regulations. In terms of the ECT terminology (Wojtanowicz, 2010), the first drilling waste control measures applied the method of source reduction - by switching to less toxic mud additives or replacing diesel oil with mineral oil, the source separation method – reducing oil on cuttings, and the internal recycling method – by closing the loop of drilling mud circulation through improvements in solids control separators combined with the mud dewatering technology. In the middle 1990s and early 2000s, the cost of drilling waste handling substantially increased as existing regulations became enforced and new regulations were introduced. It became clear that the drilling fluids, solids control, and waste management services were so interdependent that a holistic approach to drilling is needed to ensure compliance with all regulations, and reduce the cost impact of these regulations on well drilling cost. This led to the emergence of integrated drilling fluid and waste management services sometimes known as Total Fluid Management, TFM, (Jensen et al., 2004; Svensen & Taugbol, 2011), or Performance Fluid Management, PFM, (Rojas et al., 2003). In essence, the holistic approach combines ECT and waste management by solving both the drilling and drilling waste problems simultaneously. Cuttings: Rock fragments from penetration of rocks with boring tools (drill bits). Coagulation: A process of destabilizing suspension with electrolytes (salts) by changing electrochemical balance of forces between suspended solid particles. Dewaterability: Ability of drilling mud suspension to get chemically destabilized and release large volume of water. Drilling: An industrial process of making wells (cylindrical holes in earth) by penetrating subsurface with boring tools through various geological formation to certain depths. Drilling Waste: Cuttings and spent drilling mud resulting from drilling a well. Drilling Fluid (Mud): A fluid mixture of clay, water, oil, and chemicals circulated in the boreholes during drilling process. Dispersibility: Ability of cuttings to readily disintegrate on contact with drilling mud. Flocculation: Increase of suspended solids size by agglomeration of smaller solids into large flocculates resulting from addition of polymers to suspensions. Solids Control System: A surface installation of several solid-liquid separators in series that drilling mud passes through after leaving the well (with cuttings) and before is injected back to the well (with no cuttings). Environmental Control Technology (ECT): Part of an industrial process that prevents/reduces environmental impact of the process - a discharge of toxic waste, for example. Dewatering: A process of reducing volume of chemically-destabilized solid-in-water suspension by gravity/forced settling the solids followed with expression of the solid cake.